Where do you take notes? I mean on your Mac. Notebook apps are a thing of mine. So today’s deal for NoteBook by Circus Ponies certainly got my attention. I took a look at it (how could I not and you know I’m pretty impressed. 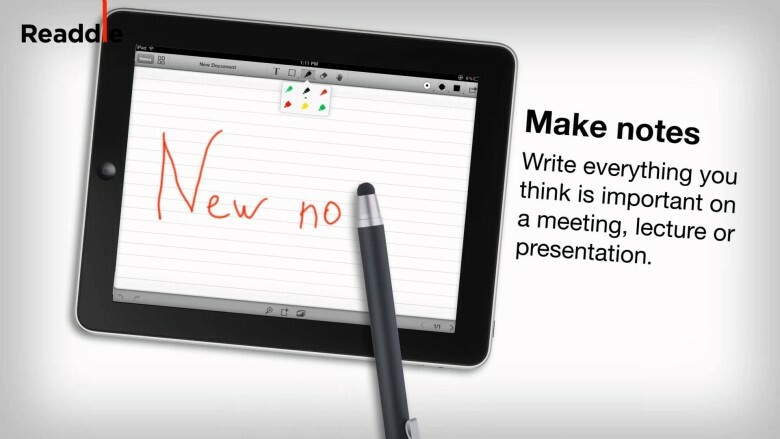 Sure, fine, Evernote is a behemoth in the note taking world. It’s also not the best note taking app though. It has a lot of limitations that bug me. What I like about NoteBook is that it’s task focused. You create notebooks based on what you’re starting point is. Writing a paper, starting a project, or just keeping a journal you get a nice, organized starting point. 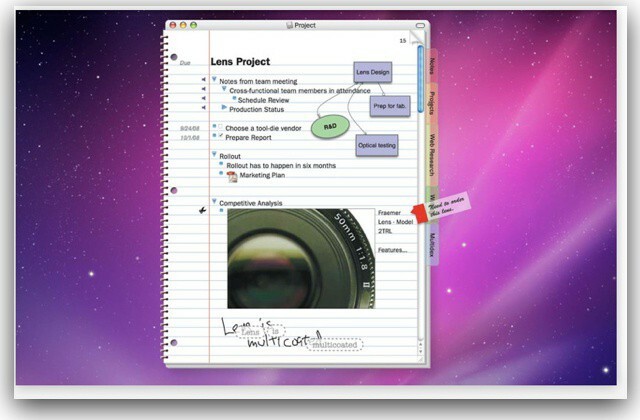 iTunes U finally allows you to take notes. Despite releasing OS X Mountain Lion and a whole host of app compatibility updates this morning, Apple has finished delivering new software. 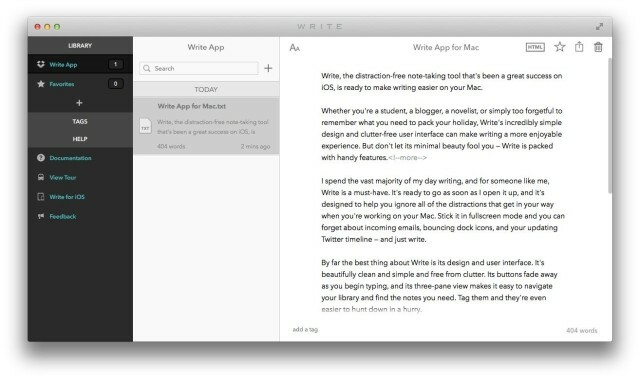 The Cupertino company just rolled out iTunes U version 1.2, which adds note-taking, and new search and sharing features. Evernote's latest update brings UI changes and improvements to the iPhone. Just hours after announcing its acquisition of Penultimate, Evernote has released an update to its iOS app that promises to deliver some major improvements to note taking on the iPhone. It has improved the way in which the app handles attachments and checkboxes, added support for Photo Stream, redesigned the audio recorder, and more. The iPad’s screen apparently wasn’t designed to be sullied with anything other than human fingers. there’s an oft-refferred to quote from Steve Jobs saying as much: “If you see a stylus, they blew it,” referring to other touch-screen designs that rely on the stylus. But we don’t always use Apple’s gadgets the way Apple intends. Most of the time, sure, we stick to the script, because the damn things are so well designed that any deviance ends up as a fool’s adventure. Using an iPad with a stylus, however, isn’t foolish. 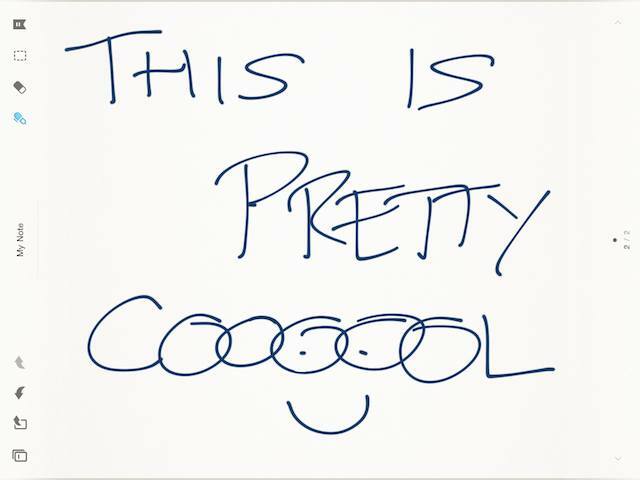 Whether or not you use one — to scrawl notes, draw, paint, as a way of circumventing long fingernails or just ’cause you like it that way — styli (or styluses, depending on your preference) are here to stay. Here’s a by-no-means-exhaustive showdown between a few picked off from the herd. 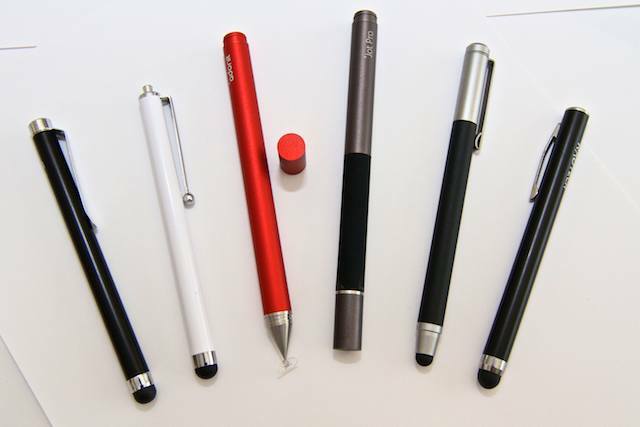 All these styli are, of course, capacitive, which means they conduct bio-electricity from your hand, down the shaft and onto the screen. About a week ago I spent $2 on Penultimate, an iPad app that lets you scribble notes on the screen and save them in notebooks. Maybe I didn’t have to though, because tablet-maker Wacom has recently released their own free iPad app, Bamboo Paper, that does basically the same thing. Almost.